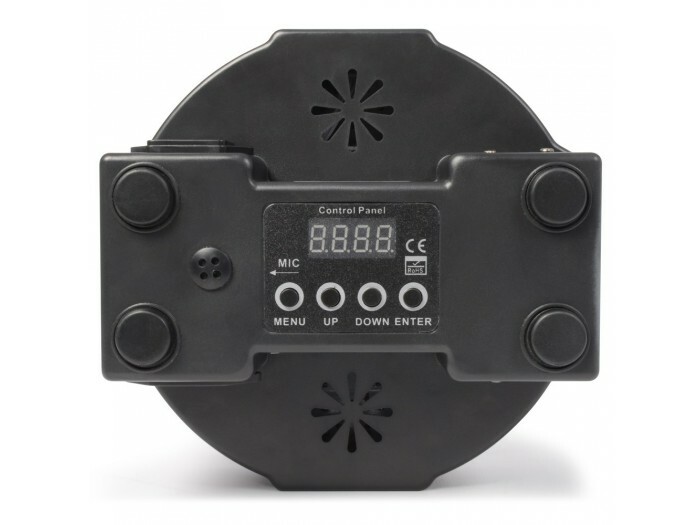 This flat par is a par with 154 super bright RGBW LEDs in a compact casing that can fit almost anywhere. 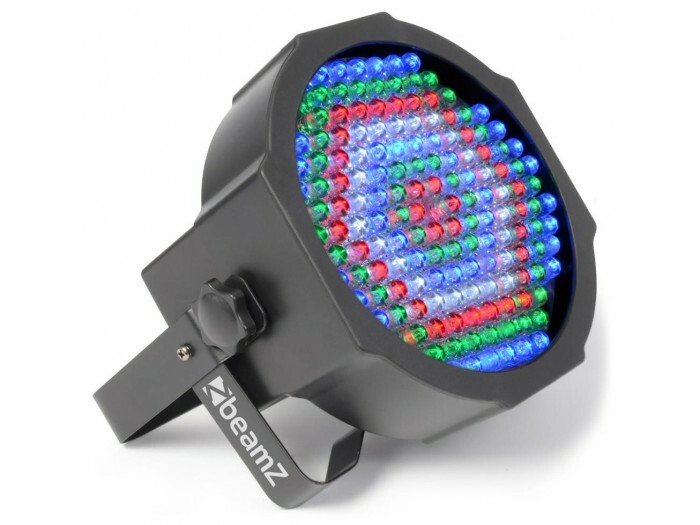 The fixture offers a magnitude of static colours and colour mixing. 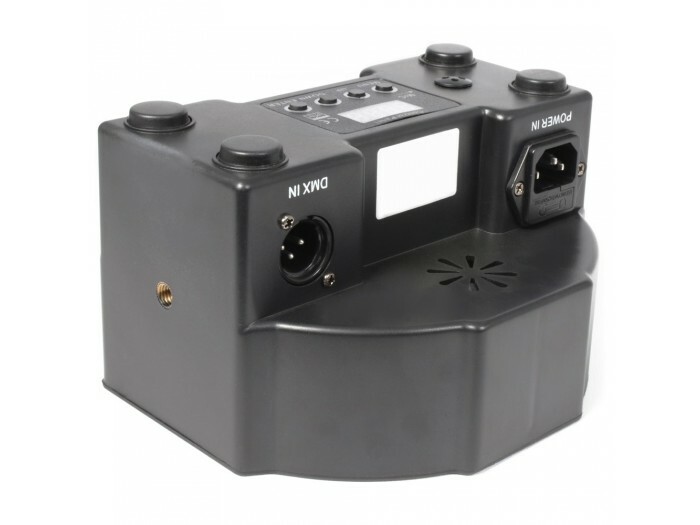 Features built-in automated and sound-activated programs, strobe and electronic dimming and variable speed-pulse effect for use on the fly, or create your own looks using the 8-channel DMX mode. 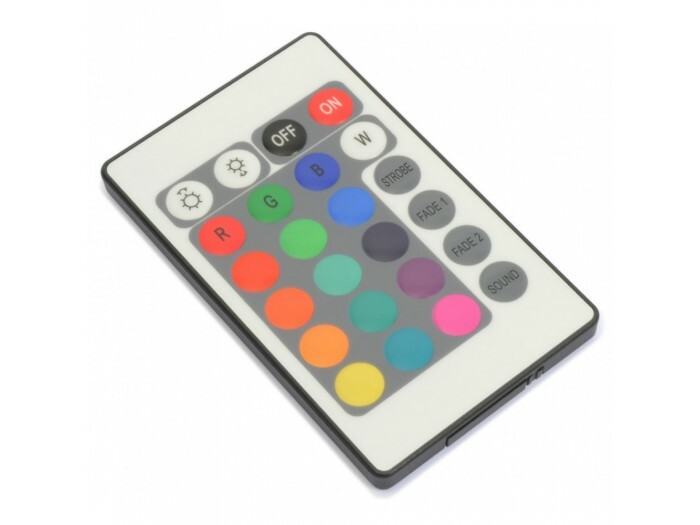 The infra red remote control simplifies operation and eliminates the bother of programming. Possibility of linking several units.